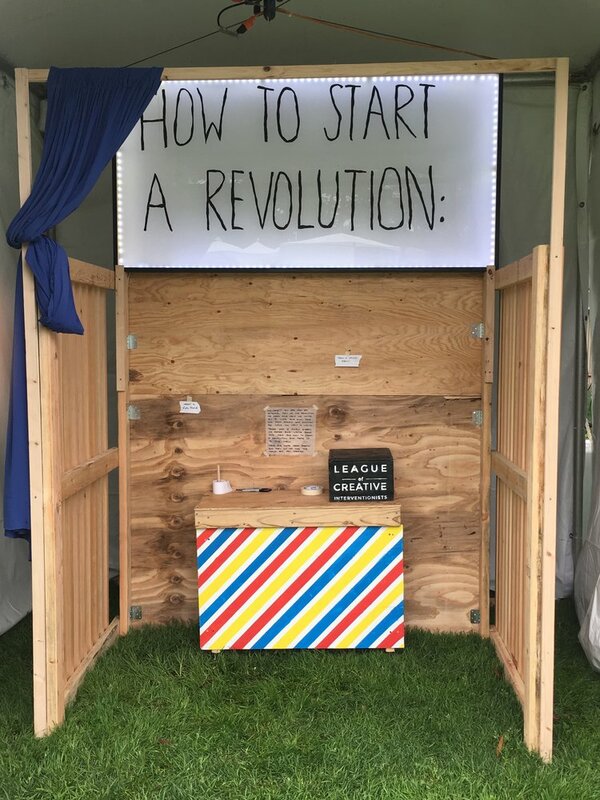 The How to Start A Revolution installation was debuted at the Outside Lands Music and Arts Festival in San Francisco, California in August of 2017. This interactive platform allows participants to share their ideas of what revolution looks and feels like. Made from a large wooden booth with a flashing LED sign atop it that prompts passersby to both seek and contribute answers. Shrouded in a layer of mystery and privacy, the entrance to the booth is covered by a curtain. 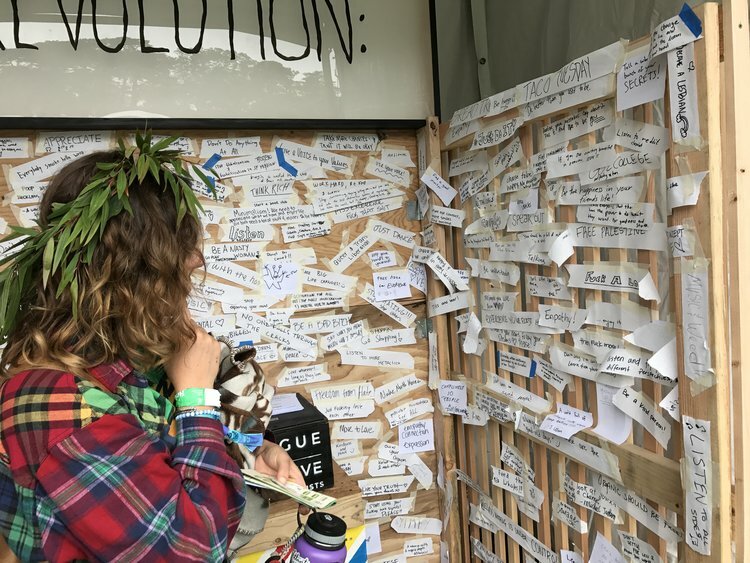 As more and more people answer the prompt the curtain is taken back and the installation becomes a source of ideas for ways to create meaningful change. The ideas submitted reflected both the playful and painful, the easily attainable and the seemingly impossible, and the political and the personal.